MALAGA beat out Sevilla and and Madrid in becoming the favourite destination among Spain’s Bla Bla Car app users this Easter. Malaga to Marbella and Malaga to Granada routes continued to be more popular on the app than Sevilla and Madrid over the Easter period, which saw a 12% increase in usage. 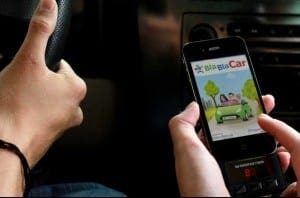 More than 2.5 million Spaniards use the app, which allows users to share rides and split fuel costs on specific routes. Previous articleShop around the Rock!